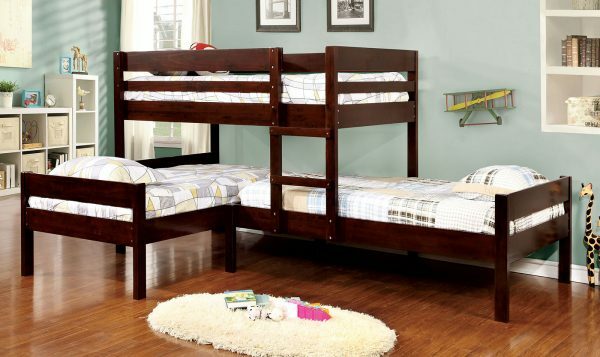 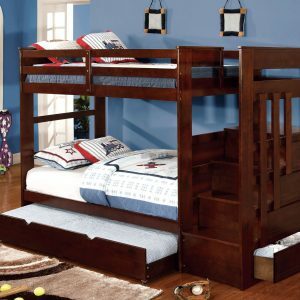 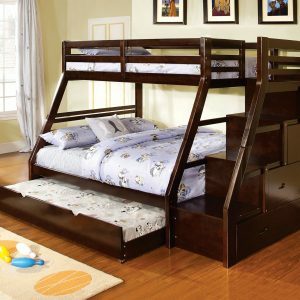 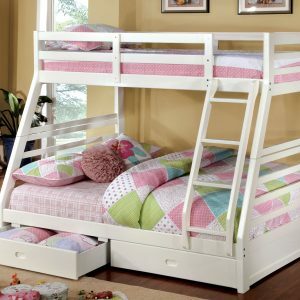 For the growing family, this corner bunk bed is a fun and space saving design that can easily accommodate multiple guests. 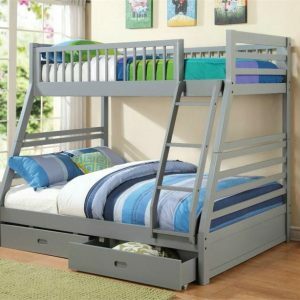 Each twin size bed is configured with a mattress ready slat kit and fence styles panels to ensure ease of convenience and safety. Make the most of your little ones room or keep guests off the floor.